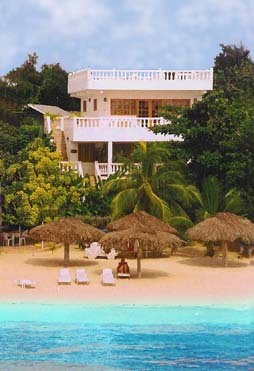 Come to Jamaica Negril and experience the best vacation available anywhere in the Caribbean. Relax into the warm sea breeze as you step through the gentle surf lapping upon the soft white sands of Negril Beach. Slip into the warm, crystal-clear waters of the Caribbean, and then achieve the perfect tan on the peaceful beach directly in front of your Jamaican Villa. And as if that weren't enough, finally watch the golden sun slowly descend into the sea in the most magnificent of tropical sunsets. On this incredibly beautiful length of Negril Beach, there are many Jamaican villas and hotels that lie within a short walking distance of numerous fun and exciting activities for those of any age. Nearby you'll find a variety of water sports, and restaurants that serve local foods and drinks, as well as dancing and entertainment. For those places that are a bit to far for walking, taxis are a great way to get around town, and are always available for a very reasonable price. Here at the Villas on Negril Beach, our staff aims to please. We can arrange trips and activities upon your reqest, such as sightseeing tours to the Jamaican countryside, where you'll find incredible waterfalls and hiking trails. Nearby you'll also find tennis courts for your enjoyment, a professional golf course, and even horseback riding on Negril Beach. Boating tours and fishing trips are also very popular activities in Negril. Just ask our helpfull staff and we'll be there to accommodate your request. 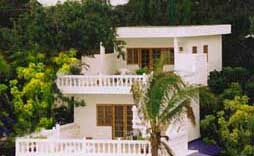 Any way you look at it, a villa in Negril has something to offer everyone.So why not come to Jamaica a cozy up in a quaint villa on Negril Beach, or bask in the suin and the surf and enjoy the excitement that is Negril.